British Police find a bottle of Novichok at home of Poisoned People. 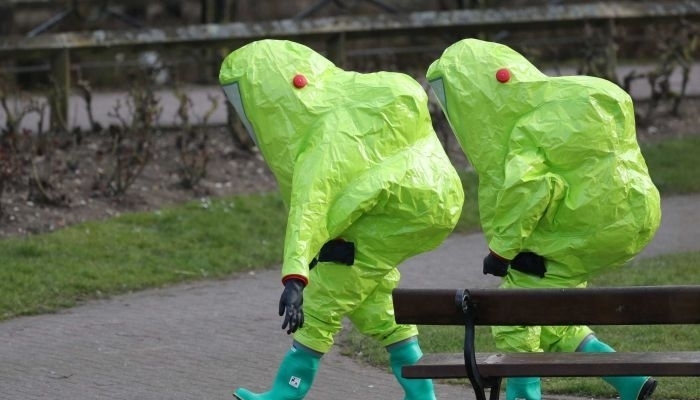 The British police have found a bottle with the very toxic substance novichok. That happened in the house of Charlie Rowley, one of the two people who became unwell at the end of June through contact with the material. Rowley is in the hospital. He was in critical condition for some time, but is now conscious and no longer in danger of life. Doctors are optimistic about his recovery. The other poisoned victim is 44-year-old Dawn Sturgess. She died on Sunday of the consequences of coming into contact with novichok. The Guardian reported on Wednesday that Rowley had a first confrontation with the police, but that it will undoubtedly take several days before he can memorise everything about reaching into contact with the bottle. The nerve gas novichok was used in the attack on the former double-spy Sergei Skripal and his daughter in Salisbury. Amesbury is close-by. Skripal and his daughter were in the hospital for some time in a critical condition, but both survived the attack. The United Kingdom states that Russia is responsible for the attack with the nerve gas on Skripal and his daughter. How Rowley and Sturgess came into contact with novichok does not know the police yet.